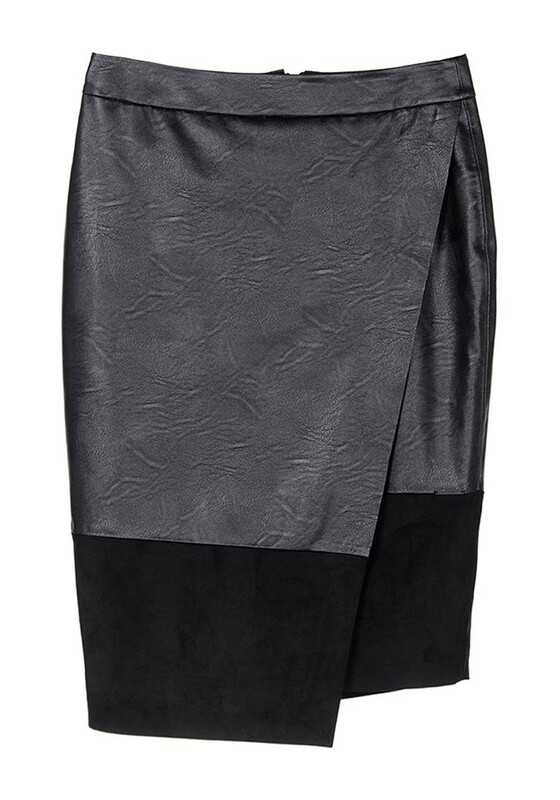 We just love the Millenium pencil skirt from Tiffosi in its edgy faux leather fabric and smooth faux suede trim. This gorgeous piece has a faux wrap over design with Tiffosi hardware and a chunky rear zip fastening. Team with a pussybow blouse and court shoes for AM to PM style.